Komarov Botanical Institute, Russian Academy of Sciences I St. Petersburg inbjöd arboretet att delta I dess 6:e internationella vetenskapliga konferens benämnd ”Biological diversity. Introduction of plant”. På grund av utlandsresa nödgades vi avstå från detta intressanta forum som nära ansluter till den verksamhet Lassas Hagar löpande gjort och gör. Vi erbjöds istället att medverka med ett ”paper” i ämnet. Abstract: During two decades Sten Ridderlöf, the founder of the arboretum, have made 15 plant hunting expeditions outside Europe to places on high latitudes in northern and southern hemispheres. The target was to find the hardiest provenance of some selective species, e.g. 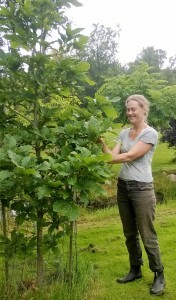 the Japanese emperor oak (Quercus dentata), the Japanese Big Leaf Magnolia (Magnolia obovata), apricot (Prunus armeniaca) or the Lenga beech (Nothofagus pumilio) that will succeed in the harsh Nordic climate. Due to the increasing garden interest the Swedish Nurseries import substantial amounts of lignoses every year from the Continent and UK. 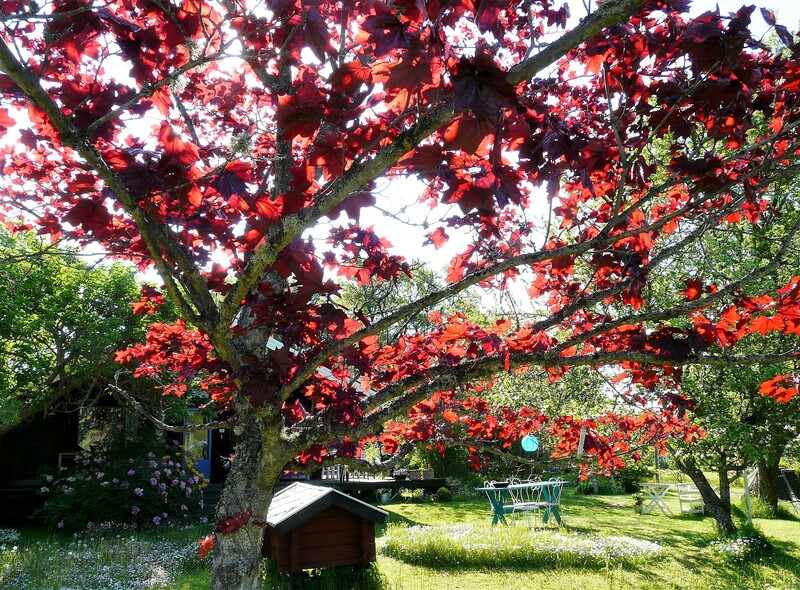 Not a few of these well-known trees failed after an extra severe winter because their provenance originated from a too southern or continental habitat suitable for the Continent but not for major parts of Sweden. The costs of failure both in the trade and for the consumers result in an unnecessary chariness. Some highly decorative but rare species have not been proved at all for the fear of failure. 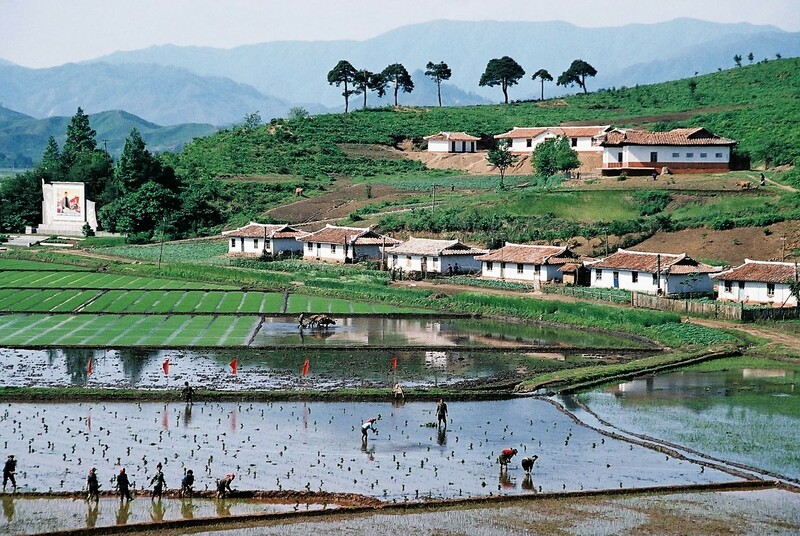 The most rewarding expeditions to test new trees in our experimental island garden went to Russian Far East, Korean Peninsula and high mountains in central China (Taibai Shan). 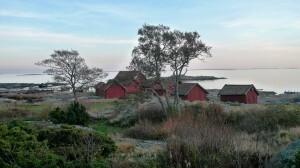 A four hours boat trip or 60 km from Stockholm City to north east you find Svartlöga in the Baltic Sea. It is an isolated island 3 x 1,5 km of land surrounded by vast open seas to other islands and the Baltics. A century ago the island had a population of 120 persons of fishermen, hunters and small farmers. Today only three men live there permanently. There is no electricity on the island except solar panels. And water came from bored or dug wells. As arboretum owners we have to rely only on rainfall and a relative higher humidity. That will also be an ultimate test for new plants. The localization with the open sea around produces a maritime climate. 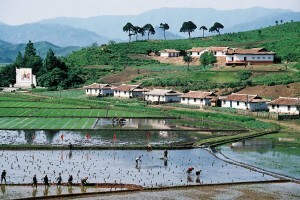 Compare to the mainland it is characterized by a late spring, cooler summer, warm autumn and mild winter. According to the Swedish Meteorological and Hydrological Institute (SMHI) measurements of climate-data 1961-1990 is the annual temperature 6,0 °C, precipitation 450 mm and 1900 hours of sunshine. The growing season (>5 °) is 180 days per year. Lowest temperature is -24,6 °C from 1942. Next long-term measurements from SMHI will cover the period 1991-2020. The new data will surely increase all figures due to the climate change. We have already noticed especially milder winters and a one month longer growing season. Until now the average temperature has increased with +1°. The geographic position for the arboretum is: N 59°34´14´´; W 19°03´16´´. Our northern position is approx. on the same latitude around the world as Cape Farewell on southern point of Greenland; north of Labrador; middle of Hudson Bay; north of Rocky Mts. and south of Alaska; northern Kamchatka; Okhotsk; Serov town, Sverdlovsk oblast and south of St. Petersburg. From a geobotanical point of view we gain a lot of the warm Golf Stream passing by and winds mostly blowing from south west. But we still have the northern day and night cycles of light. I arrive the first time to the island not as an arboretum owner but as a bird-ringer and ornithologist (though banker was my formal profession). It was in June 1974. My wife and I were highly impressed of the varied, soft landscape. When walking around we found pastures bordered with old stone walls, open meadows and small rocks surrounded by mainly deciduous forest of Alnus glutinosa, Betula pubescens and Fraxinus excelsior and jungles of Juniperus suecia. From many spots we admired the open sea with its free horizon. 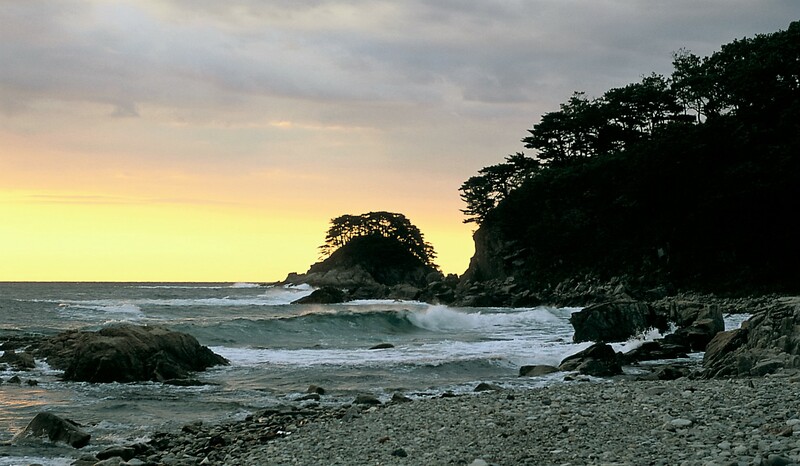 The beaches consisted of fine sand and smooth rocks carved during the ice age. Following year we hired a cottage and did so for the next five years. During my eager birdwatching I observed the most beautiful and sheltered places on the island. Later that experience came in well where to find a suitable place for our arboretum. 1980 we bought a small property without any house west of the old Svartlöga village. We opening up the former meadow by cutting an alder-forest, digged up an old dyke and cut the man-high grass now covering the rest of our property. We started to build a summerhouse. 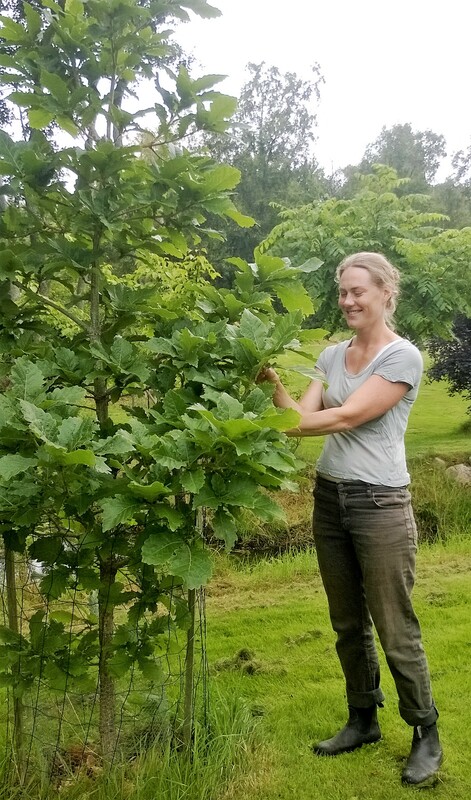 And that year we also made our first tree-plantations, a dark red Acer platanoides ’Faasen’s Black’ and an imposing Aesculus hippocastanum of 4 meters high (now 22 m). Both trees were earlier planted close to the Royal Palace of Stockholm. When restoring the historic King’s Garden (Kungsträdgården) they were sold out. Now they got a new place in front of our house. To build the house with outbuildings took much of our effort the following years. But every year we made more plantations when the property came into a better condition – open but sheltered, less weedy and with a fertile soil. Around 100 new lignoses were planted almost every year but normally small ones or just seedlings. Soon we noticed interesting opportunities with the ground around our property. Certainly there were obvious problems too. The nearest three hectares of land was surrounded by low rocks and substantial aspen trees Populus tremula and in the bottom wetlands or swamps overgrown by birches and alders and many others, like Salix species and the very difficult weedy Prunus padus. We bought the land for small money. When thinking what to do we found a map from 1842 which showed that this lowland was a former basic lake. From another map we noticed that the farmers some 50 years later had lowering the lake, digged a dyke to the sea for cultivating new land. But when all the Svartlöga population left the island during 1950s and 60s the land went back to old stages. The ground became wet especially in the springtime but dried up in the summer. Anyhow a difficult place to grow new trees. Our goal was to dig out the wet parts. Use the soil masses and sculpture a new landscape. Within a numbers of years one lake and 10 ponds were digged, all connected to the open sea via the dyke. The ponds and lake have a deep of 1,3 to 2,5 meters. Three small islands were made. From the huge masses of clay, sand and topsoil several hills (up to 5 m high) were constructed in a way that suit plantations of tender or sun loving trees on the slopes. Two Japan-orientated bridges were built as well as some transport-bridges and two stone-bridges. On a few spots we made Stepping stones for easy crossing the dyke or a small pond. On the top of some hills we built an orangery, a green house and a pavilion. A positive side effect of all digging is the establishment of a water garden with the total area of approx. 1,5 hectares. It is resulting in a surface open and calm and valuable for the biodiversity and not to forget, an esthetical focus for visitors. Main purpose for all activities is: Make it beautiful! And let the new, rare and decorative plants have the best possibilities to adapt to the new milieu. After the initial simple plantations we searched not only for more unusual trees but also very specific and often wild collected ones. My search led to skilled persons in institutions nearby as the Swedish University of Agricultural Sciences in Alnarp, Gothenburg Botanical Garden, Arboretum Mustila, Tallinn Botanical Garden and Botanical Garden of the V.L. 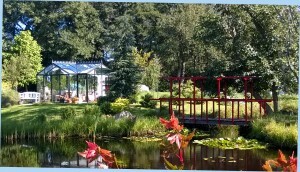 Komarov Botanical Institute. All these persons and institutions have had big impact on what have been planted in our arboretum. Furthermore I have been participant in some of their plant expeditions around the world. The network increased gradually through visiting hot spots in the nature or the world’s finest arboreta. 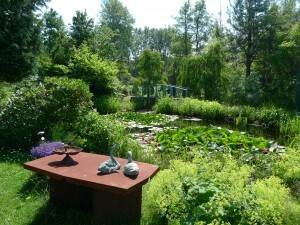 A special interest has been Japanese Gardens for their excellent design. My interest to grow seeds led me join some international societies. Particularly useful have been Magnolia Society International (MSI), International Oak Society (IOS) and International Dendrology Society (IDS). Also the Swedish Society for Dendrology and Park Culture and the Swedish Rhododendron Society has been important for the collection of trees and shrubs in our arboretum. 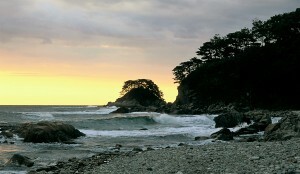 I have organized expeditions with these societies for example in Europe, Patagonia and Japan. Most of the plants in the arboretum have a garden origin. At the moment we estimate to have 2500 woody plants in the arboretum area of 5 hectares. During the first 15 years was it particular important to fill up the new hills and around the ponds to stabilize the area and get a presentable garden. Unfortunately we haven’t the time to wait for our seedlings to grow up. But the plantations were instead very selective and usually consisted of rare species sold or donated from the mentioned institutions. One criterion, still accurate is that every tree or shrub ought to be decorative in one way or another for example in blooming, leaf shapes, plant form, general character or autumn colours. We also preferred that the plant should be rare in Swedish nursery trade so visiting people could get a new experience. Pretty soon four plant families dominated our interests and still do: magnolias, oaks, rhododendron and maples. Not far behind fascinated us some evergreen families like larches, pines, cedars, firs and hemlocks. Over the years many other pop up but these are the most commonly planted, although in small numbers due to lack of space. Unlike some botanical gardens and arboreta we are not afraid to plant cultivars, especially from the interesting magnolia breeding programs (i.e. D. Ledvina) in USA. We have grown such seeds every year since 1992. Tree-species take long time to fruit, around at least 25 years in Scandinavia, so we still have to wait for the blooms. But shrubby species like Magnolia sinensis, M. wilsonii and M. sieboldii have already showing off beautifully. Our general experience is that visitors – students or the ordinary public – became more interested of the other trees if the arboretum includes such spectacular elements. 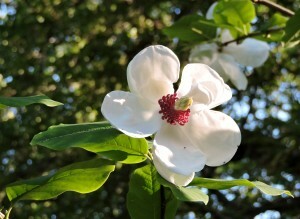 At the moment there are hundreds of magnolias planted to show off in the future. Early in my “green career” I understood that plant expeditions will be very valuable for the arboretum. It suited me also though I love both the nature and some adventures¹. 1990 I contacted SMHI and ask the institute to point out all areas in the world which have approximately the same climate as the islands in the archipelago of Stockholm or near Stockholm. Later same year the State meteorologist sent me two maps¹. One sketches areas, including mountain plateaus, in the western hemisphere and one in the eastern. These maps included South America and Australia/New Zealand. Since then the maps have been somewhat of a lodestar for my travelling to collect the hardiest provenance of a specific, beautiful tree-species. That has been the goal for our travels during two decades. An interesting side effect is that all sketched places on the northern hemisphere-map are far more southern situated than our arboretum. Looking for an exotic species from a more diverse flora than the Scandinavian we often, by this way, found the species growing on their most northern habitat of its distribution. Instead of describing the plantlist of all interesting and rare species growing in Lassas Hagar this article will concentrate of what is left around 15 years after the plant or seeds were collected abroad and planted in the arboretum. By following the map guide I have done 15 plant expeditions outside Europe. In general the material from the Southern hemisphere has shown very poor results. I presume it depends on a combination of difficult handling during a long and ongoing expedition and the journey home, different growing seasons and that the plant material is not suitable enough to stand the long Swedish winter not seldom with deep ground frost. That is the main reasons, but I also think our handling in the island Svartlöga is not optimal due to the lack of heating, watering and that we could not stay in the island for long times. We need to go to mainland to shop petrol, food etcetera. On the other hand the results from the collected seeds and plants from north-east Asia are that much better. Especially the material from Kunashir Island and south Sakhalin in Russia seems to be the most excellent for growing in south of Sweden and probabely all around the Baltic Sea. We have tested a small material from North Korea and these plants seem to be very adapted to our conditions. 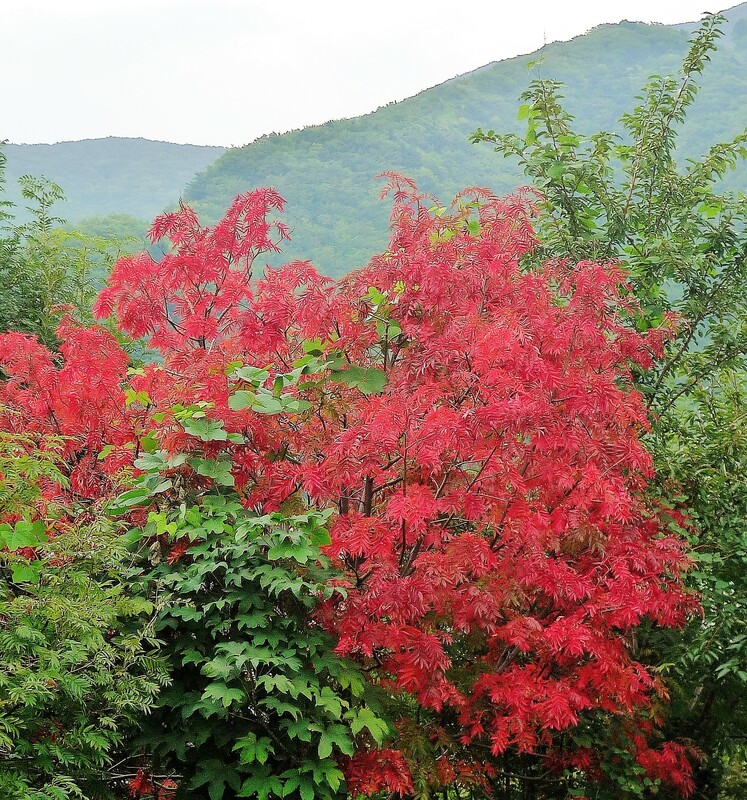 Trees and shrubs from the mountain areas in South Korea as well as the south coast of Primorsky Krai and high mountains in central China (Taibai Shan, Shaanxi province) respond also well. 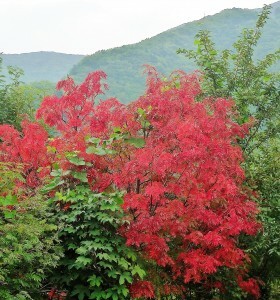 Our experiences from Japan and Yunnan in south China are more variegated. Curious enough plants from the isolated Korean island Ullung-do showed an unexpected hardiness. Probabely as a parentheses but a handful Camellia japonica from this island still survive after five years in the Swedish archipelago. In the following are reported the actual living trees and shrubs collected by myself. Can be interesting to judge what is adapted direct from the nature compare with what has been gardening since many generations ago. An expedition in October 2014 to New England and the Appalachians in USA is not counted because of the short time. But there are lot of sprouts at the moment from some oaks species originated from Shenandoah Mountains (Quercus montana, Q. alba). The list below shall be read as: Year, Expedition and leader, species, number of living trees, collecting place and a personal judgement of the plant condition. All of the mentioned plants have survived at least one severe winter. In February 22, 2010 the temperature was -21,0 °C. Quercus crispula 25 N Dolinsk near the coast SE Sakhalin (grows very well together with Viburnum sargentii, fully hardy. All plants from this collect throw their leaves in the autumn 7-10 days before Q. crispula from Kunashir Island, some 500 km south away). There are several collects of different species in seed boxes not mentioned obove. Seeds and small plants have been donated to others and are not followed up. It is interesting to notice how relative few of the original plantations which still are alive after 10 to 15 years. Part of it depends on our small staff. We are only two persons (me & my wife) running the arboretum in half time and of course the lack of electricity and running water don’t help us. The big threats are extreme summer dryness, rubbing male roe deers and water voles. The minimum winter temperature is normally not the problem but plant species from continental areas don’t do their best here. Example: Quercus dentata from Chanbaishan N China, age 19. This plant freeze down every winter like a perennial compare to a 15 year plant from Kunashir which is perfectly hardy. That plant, like its siblings, are now 2,5 to 3,5 meters and higher than their shrubby mother plant from the shore of the island. Some losses are sad, not only lignoses but also others as the Nelumbo nucifera from Primorsky Krai. On the other hand much of the surviving trees like Magnolia obovata and other magnolias, oaks, maples, beeches, walnuts, pines, larches take gradually over the scene. Understory plantings of azaleas and other rhododendrons make it beautiful and diverse. But we are glad to spare the open vistas through the surfaces of the lake, several ponds and some large lawns. Our concept is not to show plants for example in geographic divisions. Nor we gardening perennials or have a systematic section. We leave such presentations for other organizations. It takes too much effort and can be cluttered in a small space. Healthy, rare and beautiful trees & shrubs is our simple rule! A visit in Arboretum Lassas Hagar shall be an aha-moment of beauty and calmness and lot of learning. ¹ Ingvarsson, Nina and Norgren, Sofie. 2008. Handbok för växtsamlare (Hand book for plant hunters). Other thesis, SLU. Swedish University of Agricultural Sciences http://ex-epsilon.slu.se/id/eprint/2953 (in Swedish except an abstract in English). ² Ridderlöf, Sten. 2009. Intressanta och härdiga ekar i Nordostasien (Interesting and hardy oaks in North East Asia). LUSTGÅRDEN 2009 Pages 93-108 (in Swedish). ³ Ridderlöf, Sten. 2016. Höghöjdsrododendron på Taibai Shan (Rhododendron on the top of Taibai Shan in China). RhodondendronBladet Nr 1 2016 Pages 6-16 (in Swedish). ⁴ Ridderlöf, Sten. 2010. På jakt efter åtråvärda ekar i Nordostasien (Plant hunting for disarable oaks in North East Asia). LUSTGÅRDEN 2010 Pages 51- 66 (in Swedish except an abstract in English). In June 2016 there will be an International Conference organized by Komarov Botanical Institute, Russian Academy of Sciences Botanical Garden in St. Petersburg. The two main subjects to discuss are ”Biological diversity & Introduction of Plants”. Sten Ridderlöf & Arboretum Lassas Hagar, Svartlöga Sweden is invited to the meeting. We are planning to make a Rhododendron Journey to Yunnan China at that time. Instead we have made a paper for the conference named ”20 years of plant introduction to Arboretum Lassas Hagar in a remote Swedish Island“. Here presents a potpourri of pics from the 15 plant expeditions during the years and also a small glimpse of the milieu of the Stockholm Archipelago where the species are introduced.